The 49 Club Die Neons are in the shape of an upside down thermometer. The sign was made in a bright blue and has white text. 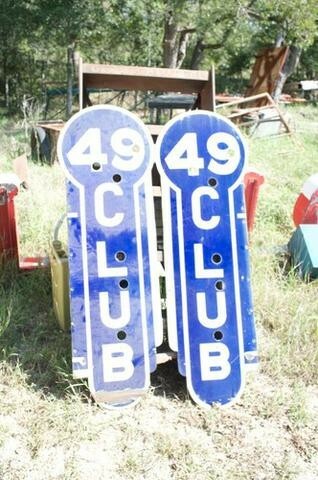 The text reads “49 Club” and is a double sided neon sign. It measures 60″ x 17″.